Working in screening, I find it really interesting to think about the balance of benefit and harm in our programmes. We often talk about uptake, but what we are really interested in is informed choice. We want the people we invite to consider their invitation carefully before deciding to take part. They need to make an informed decision, and that decision will be personal to them. The UK National Screening Committee (UK NSC) is consulting on its guidance covering the development, production and review of information to support all UK population screening programmes. The messages around benefit, harm and risk are not simple. We need to give people enough information to help them weigh up their options. That information also needs to be understandable and meaningful, something that is really tricky! No one has to take part in screening. Screening does more good than harm at a population level, but everyone has their own values and their own views about what is important to them. It is really important to those of us working in screening that people are able to make fully informed decisions. We need to make it as easy as possible for everyone to do this, based on the best available information. Leaflets are an important way of getting information across to people eligible for screening. In 2014, the Parliamentary Science and Technology Committee reviewed health screening in the UK. It came up with several proposals about the delivery of screening programmes. One recommendation was the creation of a new group from the 4 UK nations to co-ordinate the development of public and patient information. I am based in Wales, and it has been a pleasure to work with colleagues from the other home nations to develop guidance on the development of public and patient information. This has already resulted in the sharing of resources and best practice. The group acknowledged that all 4 countries in the UK are quite different. We agreed that the guidance would work best if it was as clear, concise and non-prescriptive as possible, while sticking to best principles in providing health information. The guidance aims to ensure all national screening programmes share the same rigorous and transparent approach to developing and maintaining high quality information for the public and professionals. The group is pleased to announce a formal 3-month consultation on the drafted guidance. Read the draft guidance and take part in the formal consultation. Once the consultation period is over we hope to publish responses and an updated version of the guidance within 12 weeks of the conclusion of the consultation. A lot of hard work and thought has gone into the development of the guidance and we look forward to hearing what people think. 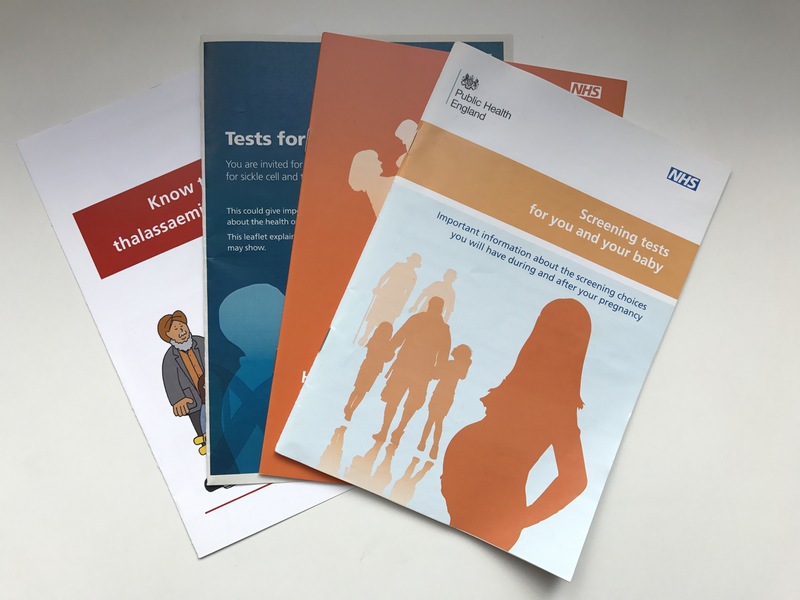 Personally, I look forward to using the finalised guidance to help us to produce high quality information for the public and professionals and help people to make informed decisions about screening. It's good to see the information make it clear that screening is a choice, but I would like it to be made clear in the literature that declining screening won't mean you'll incur penalties of any kind. Many people I have spoken to strongly believe that failure to attend screening will put you on bad terms with the doctor, result in you being refused treatment or referrals, or even being removed from the GP's list altogether. It needs to be made clear that declining a screening test will in no way affect your access to health care and not affect future appointments. Our national patient information materials emphasise that screening is a choice. Whatever that choice, the rest of an individual's healthcare is unaffected. I can't see anything in the documents about personalised risk being included in the information given to the person being invited. This will be necessary when risk based screening intervals are introduced in diabetic eye screening. Some people will be invited for screening with a one year interval and some with a two year interval. Thank you for your comments Irene. We will add them to the comments received by the consultation. Really interested in this work. Important to ensure we get the balance between benefits of increasing uptake, and ensuring people have information relavent to themselves about the next steps. An informed decision is often a better decision! Look forward to reading final guidance doc.